Unconventional fashion designer Paco Rabanne launched his first ever fragrance in 1969. A label known for its eclectic identity, the innovative fragrances fuse refreshing notes with directional appeal to create scents to match every man and woman’s taste. The masculine Invictus and glamourous Lady Million demonstrate the brand’s ability to incorporate contemporary creativity with nostalgic elements. 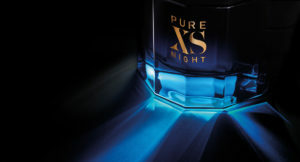 These desirable fragrances are captivating with distinctive bottles for a visual interpretation of each scent. Fusing delightful clashes of toughness with tenderness to elevate your individual beauty, Paco Rabbanne’s covetable collection of fragrances for men and women is an alluring mix of modern classics that reveals one’s identity.